While it’s impossible to read people’s minds, a little market research to find out what your target audiences search for the most online can go a very long way. Pinterest is an excellent social media platform to help you gain a clear understanding of the type of content your followers are most interested in seeing. As a result, prominent SEO marketing services in Toronto are strongly advising their clients with online businesses to jump on the Pinterest bandwagon and create an interactive account that promotes extensive user engagement with good reason. 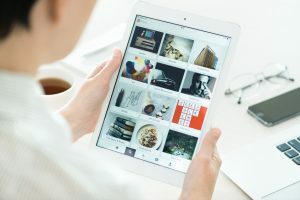 To learn more about how registering for a Pinterest account for your business can help you increase your online revenue, continue reading! A commercial Pinterest account is slightly different than a personal one in the sense that the former is specially designed to promote the products, values, and services that your business offers. This is an excellent way of connecting followers from your other social media accounts such as Facebook, Instagram, and Twitter to the various boards and types of posts on your Pinterest account and it enhances the ways in which you can connect with your followers. Most online marketing platforms—especially those that are formatted for social media sites—rely very heavily on the content and quality of the images used. In this sense, Pinterest isn’t the exception; it’s the rule. The whole point is to create clear, concise, persuasive, engaging, and informative content with as little text as possible while still managing to get your point across. Given that the average person has a very short attention span these days, the best way to accomplish this is by using appropriate and applicable imagery that pertains to your key brand messaging. We’ve all come across social media share buttons at the bottom of promotional or even informational content. These handy buttons or plugins make it easy for people to conveniently share content that they enjoy on various social media platforms. Pinterest happens to have a specific type of share button that allows people to “pin” content directly to boards of their choosing on their personal or commercial accounts. Making this option available on all of your content, even posts that are found on other social media accounts or your web site, is a great way of allowing people to share it with their friends or followers. Try to find and archive the most popular group boards and posts that apply to your business. You can either post your own original content to these boards or even repin pre-existing content as a means of attracting followers who have similar interests and inspiring them to share your posts with other people who they think might also be interested. Once you research the most commonly searched keywords that pertain to your business or a particular topic of interest that you’d like to post about, you can then optimize the text in your pin descriptions accordingly in order to generate more traffic. Incorporating the appropriate keywords into your pins will help direct more meaningful leads to your Pinterest account, which will inevitably increase traffic to your web site and other social media platforms as well. If you’re currently looking for a renowned social media marketing company in Toronto to help you step up your Pinterest game, then look no further than Numero Uno Web Solutions! Our expert SEO team has the years of experience and knowledge necessary to help you create a palpable and results-driven Pinterest account that’ll help increase your overall ROI. For more great advice and unparalleled social media services, contact us today!